Not quite sure where to start. This weekend has been non-stop since Thursday. We swung by the Kimmel center for the Green Fairy Cabaret, a production put on by the Philadelphia Circus School. It was a lot of fun (a cool video here) and a great intimate setting (the Hamilton Garden, top floor of the Kimmel Center). The one-man-sideshow fellow (David Smith) was a really great performer, and looked incredibly familiar, but I’m not sure where I’d know him from. (Sword swallowing convention maybe? One of the fire spin jams? Who knows.) I’d recommend you go to their show, but the last one is at 10:00 tonight, and all showings have been sold out since Thursday. Not too shabby for a relatively new group! I’m excited to take some classes, but I need to work on my upper body strength first… otherwise I won’t be able to do too much on the silks. Can’t wait. So how do you follow-up an intimate night at the circus? Dinner and drinks with friends at a German bar followed by more friends at the Mountain Goats, of course! Fun news- my friend is joining a roller derby team, and I’m going to help her with her costuming! Can’t wait for her to pass the final skills test so I can get started on crazy stripey awesomeness. The rest of the weekend was filled with Act For Charity events. It’s a fundraiser for Project HOME that my friends John and Theresa are putting on for the month of April, at the Shubin Theatre. A really fun crowd, great performances, and a great cause, what’s not to like? (There are still events scheduled, swing by if you can!) Today we hung around and watched locally made movies together. I screened my film, The Pig & The Tree, which I haven’t watched in ages, and haven’t sat through in public since the student film fest. 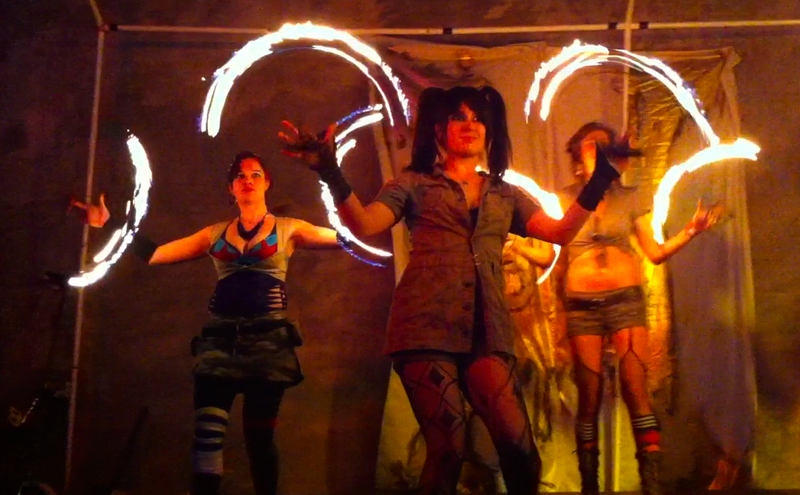 It was actually much more fun that I thought it would be… everyone really seemed to like it. And its nice and short, so I wasn’t squirming in my seat for too long. Now, to curl up in my PJs, catch some Game of Thrones and The Killing, sounds like a good way to end a busy weekend to me. A few people keep finding my blog by searching “pig with tree”. Not sure what they’re looking for, but here’s a picture of a pig and a tree. Its my awesome R.E.Load bag, a christmas present from Chris. The design is based on the title page of the book Alison illustrated for my film… I picked out all the colors. 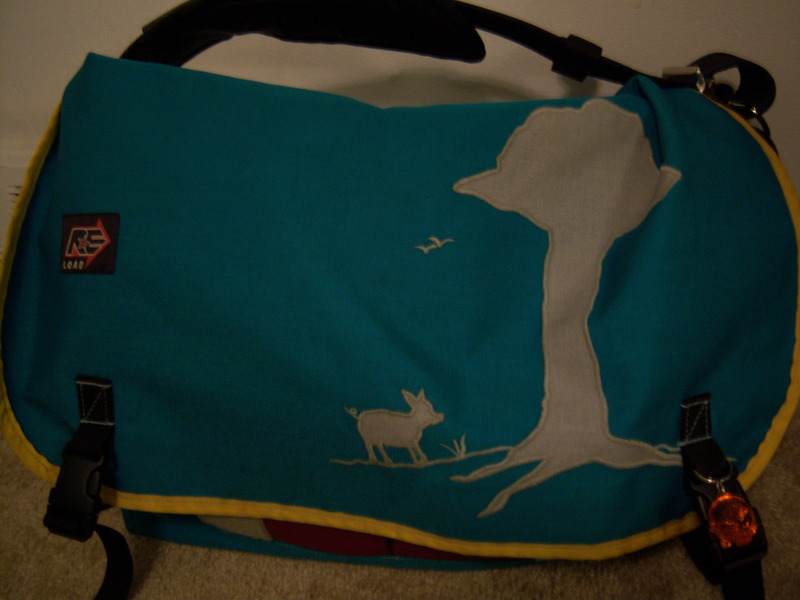 I get a lot of compliments on this bag, and with reason. They did a great job on it. One of the best parts- its waterproof. Yeah, pretty cool. I’m sure I get some looks from biker eliteists because I have a R.E.Load bag, but don’t ride a fixed gear. But my bike is my transport, whether I’m hip or not. Anyway, here’s the bag. One of the best presents ever. The Pig & The Tree in LA! 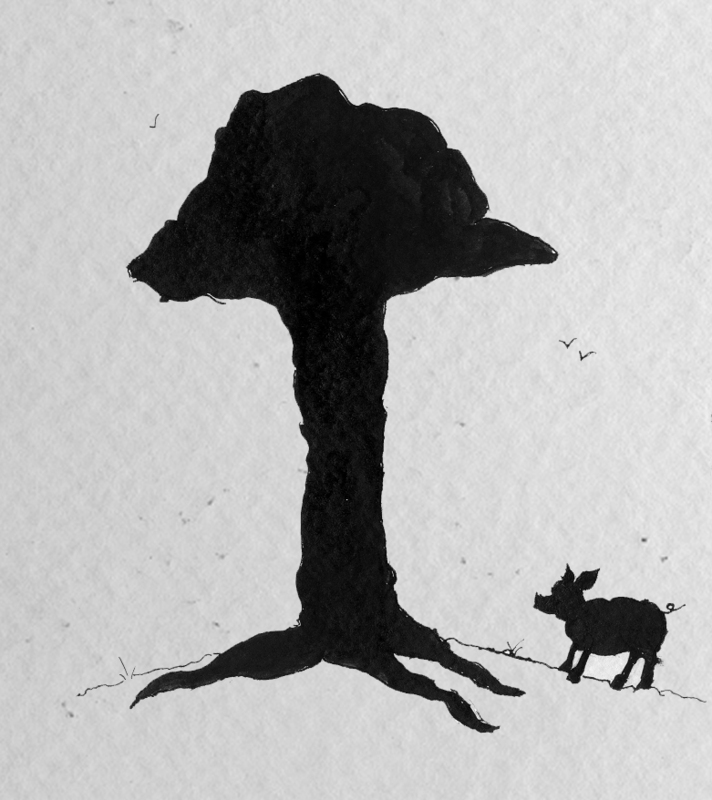 The Pig & The Tree has made it into yet another festival! This time its stateside, in sunny Los Angeles, The 4th Annual Los Angeles International Children’s Film Festival. The film will screen the weekend of Sept. 20-21 at the Museum of Latin American Art in Long Beach. The festival’s website is not yet updated with this year’s programing, but will be updated in eraly september, www.lachildrensfilm.org. The festival includes over 150 films for children and teens, screening until October 12th at various L.A. venues.